"Wit beyond measure is man's greatest treasure. 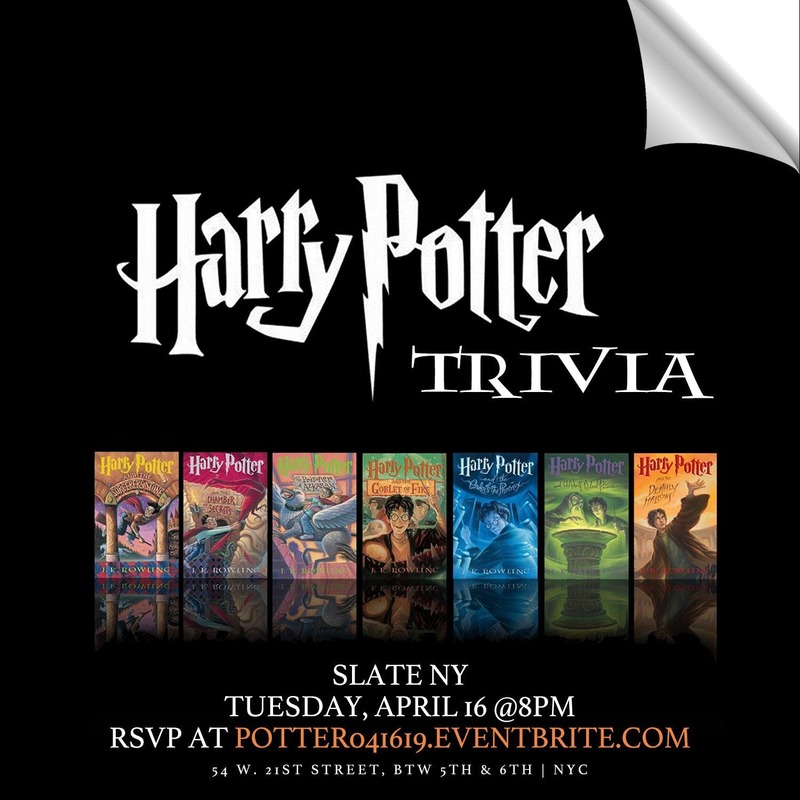 See if you've got what it takes to be a 'Prefect' at Harry Potter Trivia at Slate NY on Tuesdsay, April 16th at 8pm for FIVE rounds of Ordinary Wizarding Levels that will challenge your memory of the beloved books!The Hog's Head fills up quickly, so be sure to make your reservations at; http://Potter041619.Eventbrite.comThe best way to reserve tickets is by selecting a team captain and having them be in charge of tickets for ALL team members.For example, if Harry, Percy Weasley, Dumbledore and Helga Hufflepuff are a team and Harry gets put in charge, he will then reserve tickets for himself, Percy, Dumbledore and Helga = (4) in total.PLEASE ONLY RESERVE SINGLE TICKETS IF YOU ARE PLAYING BY YOURSELF.We will send a confirmation email to everyone closer to the event. "Because that's what Hermione does. When in doubt, go to the library."